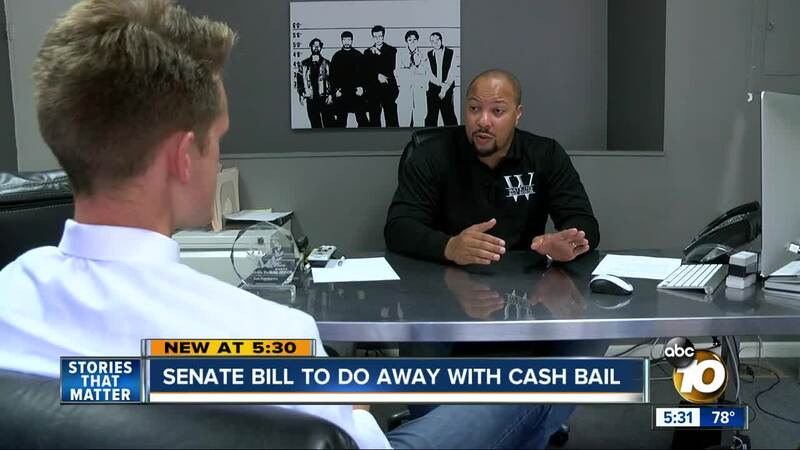 SACRAMENTO, Calif. (AP and KGTV) — A bill that would end California's bail system and replace it with a risk assessment system is headed to Gov. Jerry Brown's desk. State Senate approved the bill with a vote of 26-12 Tuesday afternoon. If signed into law, it would make California the first state to completely end bail for suspects waiting for trial. Senators who support the bill say it would end a system that discriminates against low income people. Those in opposition argue that the measure would make communities less safe. If signed into law, the plan calls for the release of most suspects arrested for nonviolent misdemeanors within 12 hours. Those accused of serious, violent felonies wouldn't be released before their trials. Courts and California's Judicial Council would have discretion to determine whether or not to release other suspects based on the likelihood they will return to court and the danger they pose to the public.